The Elders have written to the President of Colombia, Ivan Duque, to welcome his commitment to the peace agreement signed by his predecessor Jose Manuel Santos and to encourage its full implementation to further the causes of peace and reconciliation. “We welcome your commitment to upholding the peace treaty. You have a historic role to play in steering your country through this process in the coming years, uniting all sides. Three Elders were present at the signing of the 2016 peace deal with the Revolutionary Armed Forces of Colombia (FARC): Ban Ki-moon in his then role as UN Secretary-General, the late Kofi Annan, then Chair of The Elders, and Ernesto Zedillo, former President of Mexico. 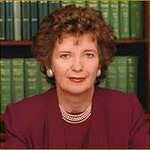 Mary Robinson stressed The Elders’ continuing commitment to supporting the peace deal in any way that could be constructive, drawing on their diverse experience of peacemaking across different continents. “As I know from personal experience with the Northern Ireland conflict, peace agreements are usually just the beginning of a long journey, and tensions will inevitably arise over the nature and implementation of peace. “While social acceptance of Colombia’s peace agreement is important, it will also be vital to ensure that disagreement on specific details does not derail the entire project of peace”, she said.